Explore Shanghai this Lunar New Year and soak in the festive mood with 10 new tourist offerings. While some shops will likely stay shut during the Lunar New Year holiday in Shanghai, the city will nevertheless remain a hive of activity, thanks to the numerous festive events planned. Major shopping and cultural destinations will also remain open throughout the holiday week. Shanghai, as the most cosmopolitan and modern metropolis in China, is also one of the best places in the country to experience a Lunar New Year that combines modern and traditional elements. The city is also considerably less crowded during this period, which makes traveling more of a breeze. Here are some of the new attractions to look forward to in Shanghai during the biggest festival of the year. 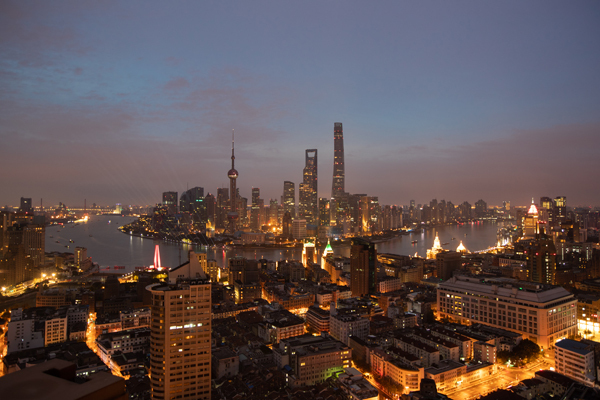 Famous for its night views, Shanghai was one of the first cities in the world to develop landscape lighting. It had introduced floodlights on its buildings along the Bund as early as 1989. To welcome the 2018 China International Import Expo and promote the city's tourism industry, the lighting on both sides of the Huangpu River was improved, with lights installed on nearly 400 important buildings, 16 piers and along the 20-kilometer trail that runs beside the riverside stretch. While the lighting design on exotic building clusters in Puxi sports a more classical style, that used on the Lujiazui side in Pudong is more contemporary. The Bund landscape lamps have also been upgraded so that they can operate in three modes to suit occasions such as weekdays, holidays and at night.